Get Your AHA PALS card the day of your class. No waiting. We NEVER cancel classes!!! National Institute for Healthcare Education Honored by American Heart Association! 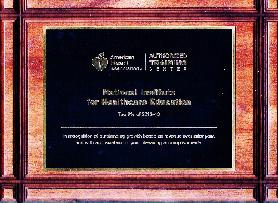 December, 2013: NIHE was named as being in the TOP 1% of all AHA Training Centers!! Current PALS Classes--Guaranteed lowest prices. Others promise but we deliver. ALL of our PALS courses will result in you receiving an American Heart Association PALS card upon successful completion of all course requirements. Below you will find a description of each type of PALS class we offer and who is eligible to take each course. Once you know which course you wish to sign up for, click on the link at the top or bottom of this page for the city that is closest to your location. This will take you to a registration page where you may find a convenient course date and register and pay for the type of PALS class that you need. PALS Update/Recert-This course is open to all students with a current PALS card. The American Heart Association PALS Update/Recert course is designed to provide pediatric healthcare providers with the knowledge and skills necessary to efficiently and effectively manage critically ill infants and children and help improve outcomes. The PALS course covers: pediatric emergencies, concepts of a systematic approach to pediatric assessment, BLS, PALS treatment algorithms, effective resuscitation, and team dynamics. PALS training is intended for professionals who must be credentialed as a requirement for doing their jobs, including: pediatricians, emergency room, family, and other physicians, physician assistants, nurses and nurse practitioners, paramedics, intensive care and critical care providers, other providers required to initiate and direct advanced life support in pediatric emergencies. All students will complete all of the mandatory and optional skills to meet the AHA requirements. Students must pass a written exam and skills test in order to qualify for an AHA PALS Provider Course Completion Card. This course begins at 3:30 p.m. at all of our locations except Sacramento, CA where the course begins at 9 a.m. You must have a current AHA PALS Provider manual at this class. PALS Online with Skill Check-This is the American Heart Association PALS Heartcode with Skill Check. This course is open to all new, current, and expired PALS students. Unlike the PALS Update/Recert course, all students, including new and expired students, who complete the Online portion are eligible for remediation on the skills exam. Completion of both portions, online and live skill check, will result in the student receiving an AHA PALS card. This course is open to new, expired, and current PALS card holders. The two-part online portion, core and advanced, covers all of the PALS curriculum. After completion of the online portion the student will attend a Skill Check which will cover all of the mandatory and optional PALS skills. Skill checks begin at 4:30 p.m. at all of our locations except Sacramento, CA where they begin at 9:30 a.m.
What card and CE certificate will I receive?